THIS WEEK’S RANDOM QUESTION: What was the last book you didn’t finish? Why? Happy Leap Day! I hope February has been kind to you. I'm excited to participate in the first Musing Mondays held at Jenn's new blog, Books And A Beat. I hope you'll pay her a visit. I can't answer this week's question because it has been so long since I haven't finished a book I can't tell you what it is. 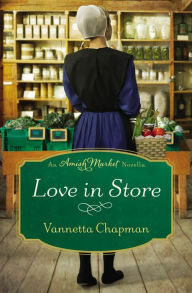 What I can tell you is that I just finished reading Vannetta Chapman's delightful story, "Love in Store" that is featured in An Amish Market. Two unlikely people are drawn together when mysterious happenings threaten the Old Amish Mill. David Stoltzfus is a happy, peaceful man who always seems to have a smile on his face. This aggravates his co-worker, Stella Schrock, who has become lonely and bitter over how her life has turned out. When strange occurrences at the Old Amish Mill cause a stir that might lead to its closing, Stella and David team up to get to the bottom of the mystery. The more time they spend together, Stella begins to imagine a life for herself she was certain she left behind long ago. Perhaps God has more in store for the both of them. This is a wonderful story from beginning to end. 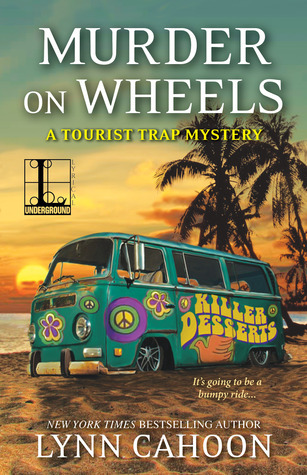 It combines two of my favorite things: engaging characters and a mystery to solve. This is just another fine example of why Chapman is such a popular author. She knows her genre well and continues to deliver superb stories for her fans. 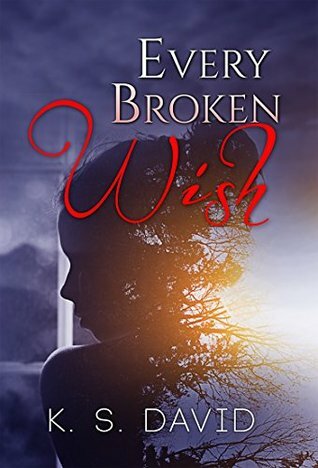 I look forward to reading the rest of the novellas in this collection to see if I find other authors in this genre to enjoy. What are you musing about this week? “I take care of myself. I don’t need someone to take care of me,” Erin said. Will ran a thumb across her pouty bottom lip. He didn’t doubt that she believed it. That stubborn tilt to her jaw said she was independent and self-reliant. She was tough, and strong, and he wouldn’t want her any other way. But God, he just wanted to hold her and care for her for a change. Her eyes widened at the contact of his fingers along her cheek. “No?” Her voice dropped to a husky whisper. “I’m going to kiss you,” he whispered. He stroked her hair again, then through the strands until his hand was at the back of her neck. “And then, I’m going to push that indecent dress up just a little higher, and see what you wore for me tonight,” he said, feeling her heart beat under his fingers. She swallowed and started to reach for him, but he stilled her hand, covering it with his. He shifted so he could pull her closer. Her breath escaped in a rush as he ran his hand down her body, over the curves that had been tempting him all night. His fingers played with the hem of the short dress and Erin shifted as his hand moved under the fabric and across soft, warm skin. His hands roamed higher, up the back of her legs, along the curve there and moving higher still. His mouth went dry as he realized the lace and silk he was reaching for wasn’t there. Instead, his fingers brushed her soft, hot core, making her squirm against his hand. I am reviewing the first chapter of TRANSFORM: The Secret to Unlocking the Perfect You, a self-help/lifestyle/health book by Dede Barbanti. BLURB: Finally, a book that will provide you with the answers that change your body and your life! TRANSFORM really is the SECRET TO UNLOCKING THE PERFECT YOU. 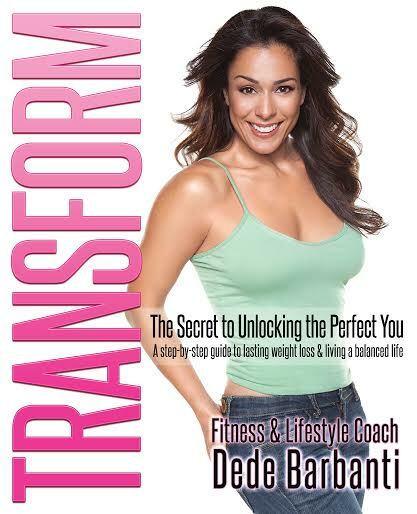 Once weighing over 200 pounds, Fitness and lifestyle expert Dede Barbanti not only gives you the tools to achieve your weight-loss goals, but helps you dig deep to fix the core issues that keep you from lasting success and your true potential. This is not your traditional weight-loss book. Most diet books focus on the outside by changing your eating and exercise routines,but they fail to find the root cause of your bad habits: what, why, and where they all started. These band-aid treatments never treat the problem, only the symptom, and most people find themselves back at square one, frustrated and defeated. Dede’s no-holds-barred approach gets your booty into gear by tackling the real issues of your weight loss merry-go-round; so you can stop the madness and unlock the perfect you. You can continue reading all of those other diet and lifestyle books that ultimately keep you repeating the same old story and never seems to get you anywhere, or you can get real with yourself and finally bring about the changes that you have always wanted…permanently! 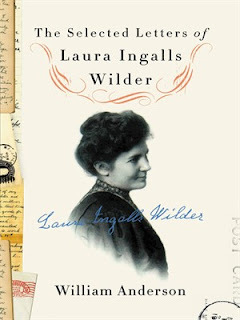 COVER: Like most--if not all--books in this genre, an eye-catching photo of the author appears on the front. I guess it's to inspire the reader by seeing her results. I've just never really cared for that. What I do really love, however, is the choice of colors: the white background, bold pink letters for the title, and the pastel green of Barbanti's shirt work well together. FIRST CHAPTER: As is usually the case for me with non-fiction, I read the Introduction prior to digging into the first chapter. Those intros really help to define the book, so they are important. Barbanti's opening is strong because she hits on what I feel is one of the most important aspects of making a life change: you can't compare yourself to others. No one's life is perfect and it serves no purpose to compare your situation to anyone else's. Focus on your goals and make a change for your benefit alone. Then there is a short section that talks about how to get the most out of the book. Great idea. This is followed by a testimonial from one of the author's clients and a section encouraging readers to stop self-destructive patterns and behaviors to bring about permanent changes in your life. Barbanti believes in "The Trinity of a Balanced Life": three areas in your life you must reflect upon and work on in order to make those permanent changes. All of this is inspiring, but it's once you get to the actual first chapter that things get really interesting. With the first transformational exercise, the reader is asked to write down her "Defining Moment" and how it affected her enough to make you take action. KEEP READING: Definitely! I love the author's practical, yet, no-nonsense style. She gets that it takes baby steps and that a transformation has to take place alongside bringing up kids and other responsibilities. But she also tells you that no one can do this but you. That's why isolating the "Defining Moment" is so important. I'm glad I signed up for this virtual tour. This book will definitely help me as I work on my goals of eating healthier and exercising. TRANSFORM: The Secret to Unlocking the Perfect You is available at Amazon. Here it is, Monday again. I hope you had a great week. Things are going well here and I am slowly making a dent in my TBR pile. That definitely gives me a sense of accomplishment. 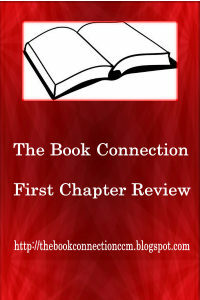 I'm currently reading An Amish Market, a short story collection with a story byVannetta Chapman. As for this week's question, I usually read books as they are due for review. I got behind starting in 2011 and never really caught up; so while I do participate in some new tours and am part of a street team for a couple of authors--which brings me a few new books a year, mainly I am working my TBR pile from the bottom up so I can one day be free of overdue book reviews. Authors work so hard to publish a book and they shouldn't have to wait for their promised reviews. When the day comes when I have no more overdue reviews, not only will I celebrate like crazy, I will start reading the books I've bought simply because I wanted them. What is happening in your reading world this week? A steady-paced murder mystery with engaging characters and several twists and turns is what you'll find in The Last Dinner Party by Carly M. Duncan. 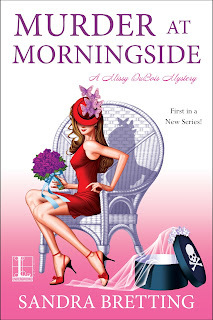 When Jeanie D'Alisa is found murdered in her bed after hosting one of her infamous dinner parties, detectives Anna Cole and Kristy Hicks are called in to investigate. While known for her generosity, Jeanie had a darker, more unpredictable side. As the investigation continues, there is no shortage of potential suspects. And sometimes Anna and Kristy don't see eye to eye on things, which can complicate matters. Can they put their differences aside and bring Jeanie's killer to justice? 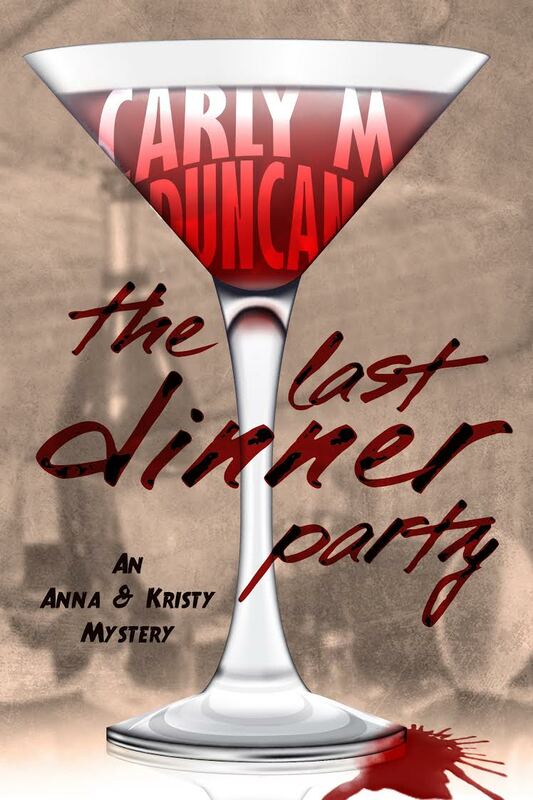 With The Last Dinner Party, Duncan has created a murder mystery that moves along at a steady pace, new suspects turning up as clues are uncovered. The author created a diverse cast of characters who draws the reader in and keeps them guessing as to if their difficulties with Jeanie were enough to make them snap. The clashes between Anna and Kristy, though they weren't a huge part of the story, added an interesting element. The author also developed a good deal of tension between two other important characters, which served to deepen the mystery. I'm glad to see Duncan is creating a series with Anna Cole and Kristy Hicks. It will be interesting to see where they go from here. THIS WEEK’S RANDOM QUESTION: Do you read more than one book at once? Why, or why not? Hard to believe another week has passed. I've been breezing my way through Touches of Time by LoRee Peery. 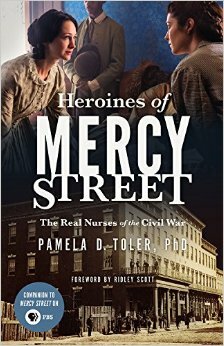 In addition, I pre-ordered a copy of Heroines of Mercy Street, which I am eagerly awaiting. Should be here in two days. My only frustration remains my lack of reading time. With work and home life, little time is left to read. I find myself tired often, so I fall asleep without getting a chance to read. Are any of you experiencing the same thing? I truly long for the days when I was a stay-at-home mom who could read for a couple of hours each night. As for what I think I will read next, I'm hoping for An Amish Market, a short story collection with a story by Vannetta Chapman. And do I read more than one book at once? Not usually, but lately I am because I have an audio book in the car and am reading one at home. 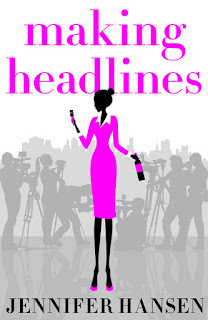 Working as a TV reporter has its challenges, but when Rachael Bentley decides to aim high and become a newsreader, she faces a whole new minefield of explosive scenarios. Rachel's path sees her pitched against egos in the newsroom, office politics and corrupt politicians, not to mention rampant sexism, and a mystery stalker. 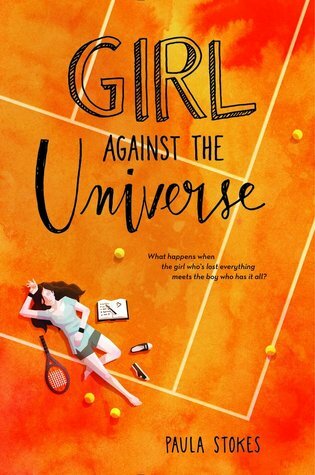 Juggling a messy personal life doesn't help, nor does the emotional impact of reporting on life's tragedies and when it all takes a toll and Rachel starts partying too hard, she finds herself making the headlines instead of reading them. There are a plethora of academic studies into the unfair treatment dished out to women in the workplace, from all over the world. There are also thousands of books on feminism and conspiracy theories about the patriarchal society behind the injustices. From my perspective, the only people who’ll really pay attention to those are the already converted. Far better to tell an entertaining story that will have a broad reach across the masses with a subtle message than trying to hit people over the head with a moralistic hammer. I have always wanted to be a writer. Before focusing on creative writing, I worked as a journalist for many years, starting in newspapers. I then worked in the television news industry for more than twenty years. After I left, I took up the RMIT Professional Writing and Editing course in Melbourne – completing the Diploma – and focused on the subject of Creative Writing. As a new novelist, we were always encouraged to write about a world we knew well, for our first book. So I thought it would be interesting to examine what many believe to be an aspirational career – that of a female TV newsreader – but to also look at the challenges women face in this often male-dominated world. I have had to be careful to make sure all my characters are completely fictional, so as not to upset any one that I may have worked with in the TV industry. At the same time, I didn’t want to compromise my desire to tell a story that also examines the way bosses can abuse their power in any work situation to make life difficult for those working under them. I wanted to show people – women in particular – that no matter who you are and what position you hold – your satisfaction in your job and your self-esteem can be greatly diminished if someone treats you badly or bullies you. I had many wonderful bosses in the TV industry (male and female) so this is not a message directed at anyone in real life – rather an exploration of a theme. I have witnessed though, other people being treated badly and have had to deal with a couple of tricky situations myself – and not just in television. I think this message definitely comes through, but in a fresh way because it’s subtly disguised in what’s often referred to as a ‘Chick Lit’ book. That means it’s a fast-moving and easily readable story, but also throws a punch towards the end. It’s also different because it’s about the TV industry and because the author (me) has worked in that business for so long, the reader can be confident they’re hearing about the industry from someone who really knows how it works. Even though people outside the industry might see the television world as something exciting and aspirational, the reader will also be reassured – or horrified – to know that it’s not much different – or even worse – when it comes to how people are treated in the workplace. 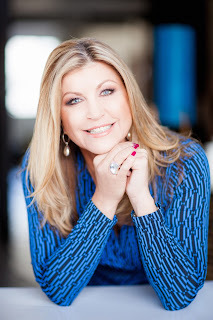 JENNIFER HANSEN is best known to TV audiences as the former co-host of Channel Ten’s 5pm news. 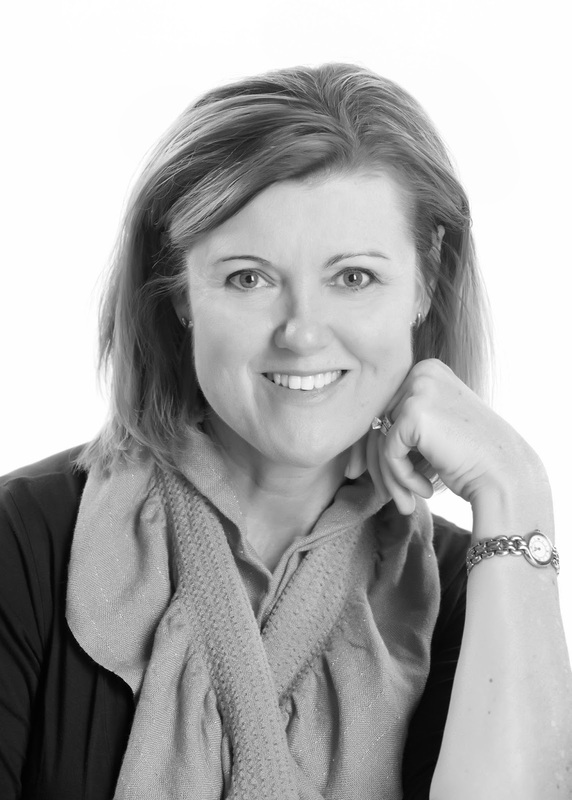 These days Jennifer works in radio as part of Smooth FM’s breakfast show where she reads the news and chats with Mike Perso about all things Melbourne. In between media gigs, Jennifer went back to ‘school’ - taking up the ‘Professional Writing and Editing’ course at RMIT. 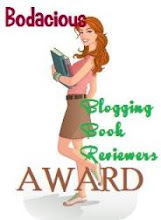 That has helped her complete her first novel and two screenplays. Occasionally she remembers to look after her family - including husband Neighbours actor Alan Fletcher (aka Dr Karl Kennedy) and their two children, Veronica and Tom. 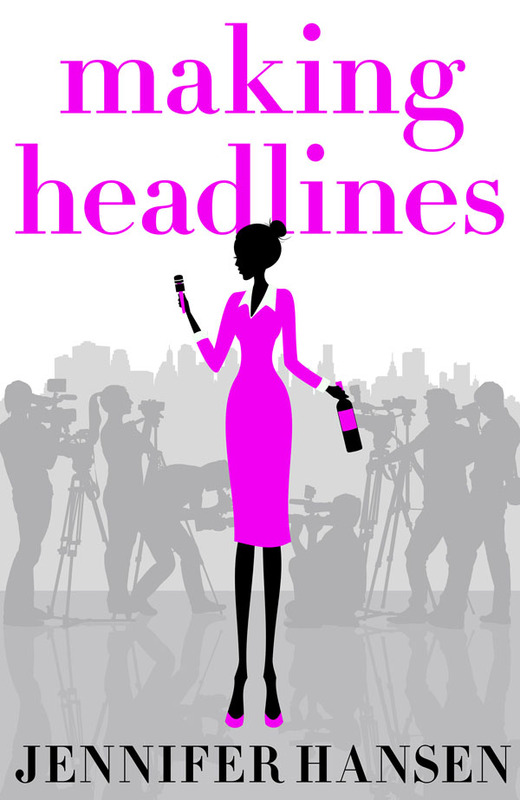 Jennifer will be awarding an eCopy of Making Headlines to 3 randomly drawn winners via rafflecopter during the tour, and choice of 5 digital books from the Impulse line to a randomly drawn host. Nikki’s gaze lit on Jack hunkered down along the sidelines, and her heart constricted. Head to head with Ramsey Delaney, boy and man hung over one of Jack’s ever-present notebooks. The football star draped a muscled arm around Jack, cupping his shoulder with a huge hand that covered a quarter of her son’s back. “I smell perfume,” came Ram’s deep resonant voice. Both faced Nikki, presenting ear-to-ear grins. Their matching dazzling smiles swelled her heart—her customary reaction to Jack, and a jolting, giddy pleasure in the wake of Ramsey’s seeming delight at her arrival. 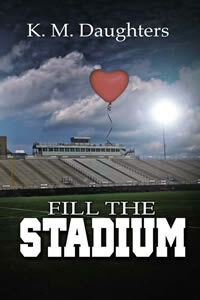 Fill The Stadium for ALD is based on a charity football game held in Soldier’s Field at Harvard University – the concept is the brainchild of K.M. Daughters. Kathie’s son is an alumnus and former captain of the football team. His dear friend’s grandson died of ALD which prompted his passion for fundraising benefiting research. K.M. Daughters wrote the novel inspired by the charity event concept that they created. Learn more about the sister writing team of K.M. Daughters at www.kmdaughters.com. 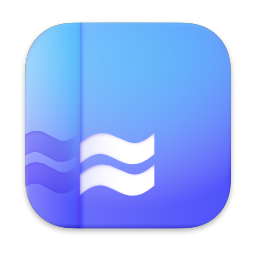 Connect with K.S. on Twitter. I've become totally hooked on this six-part mini-series. Being a Civil War buff, I am so glad I stumbled upon the show in my Facebook feed. I was able to catch up on the past three episodes thanks to my Amazon Prime membership. When I heard about this book, I pre-ordered it right away. Heroines of Mercy Street tells the true stories of the nurses at Mansion House, the Alexandria, Virginia, hotel turned wartime hospital and setting for the PBS show Mercy Street. Women like Dorothea Dix, Mary Phinney, Anne Reading, and more rushed to be of service to their country during the war, meeting challenges that would discourage less determined souls every step of the way. They saw casualties on a scale Americans had never seen before; diseases like typhoid and dysentery were rampant; and working conditions-both physically and emotionally--were abysmal. Drawing on the diaries, letters, and books written by these nursing pioneers, Pamela D. Toler, PhD, has written a fascinating portrait of true heroines, shining a light on their personal contributions during one of our country's most turbulent periods. Before Beatrice could say more, the front door flew open and in stomped an elderly gentleman. He was on the verge of a good old-fashioned hissy fit. “Y’all don’t deserve a say in this wedding!” he said to a young woman who’d slunk in behind him. The girl looked to be the right age for his daughter. She wore flip-flops and a wrinkled peasant blouse, and she buried her head in her hands. Well, that lifted the blouse an inch or two and exposed her bare stomach. Lorda mercy. It seemed the girl and her fiancé must have eaten supper before they said grace, as we said here in the South, because an unmistakable bump appeared under her top. She looked to be about four months along, give or take a few weeks, and I could see why her daddy wasn’t too happy with her right about now. After a piece, she lifted her chin and glared at him. “I hate you!” Her voice rippled as cold as the river water that ran nearby. “I wish you were dead.” She stalked away. I fully expected the man to cringe, or at least follow her. Instead, he merely glanced our way and shrugged. After a minute, he pivoted on the spectacle he’d caused and casually strolled away, leaving a bit of frost in the air. “Oh my. Why don’t we continue,” Beatrice said. Poor Beatrice. She obviously wanted to divert our attention elsewhere. It couldn’t have been every day one of her hotel guests wished another guest was dead. She hustled us farther into the ballroom, as if nothing had happened, all the while explaining the history of Morningside Plantation. 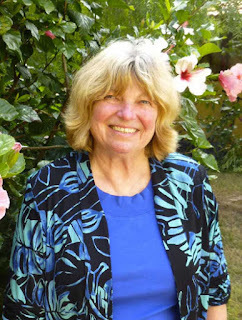 Sandra Bretting works as a freelance feature writer under contract to the Houston Chronicle. She received a journalism degree from the University of Missouri School of Journalism and wrote for other publications (including the Los Angeles Times and Orange Coast Magazine) before moving to Texas. Her Missy DuBois Mysteries series debuts from Kensington/Lyrical Underground in May 2016. Bretting’s previous mysteries include Unholy Lies (2012) and Bless the Dying (2014). Readers can reach her online at www.sandrabretting.com and through Facebook at www.facebook.com/sandra.bretting. 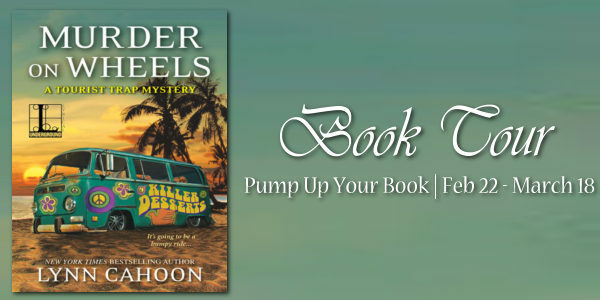 In this true-life travel adventure, Susan keeps a journal and record her bizarre thoughts and telling dreams. A real life thriller, Susan's monsoon-season journey is about discovery and spiritual realization—one dream at a time. A powerful surge of energy flooded my body and relaxed me. It was a breakthrough as I became aware of a reality outside my perceived normal existence. The sea heard, answered me, and calmed. I experienced a moment of pure joy when I discovered the interconnections of nature and the universe around me. My epiphany. This was not the first time I had felt supernatural powers surround me. I had experienced this also as a child when I sat out on a hot rock in the Arizona desert with my dog Brownie. We watched magic happen while we waited on a spaceship to collect us. My senses became so keen I could see rocks change as the wind brushed them. I thought back to Cyprus and the long months I had spent in bed thinking and dreaming, bedridden in an attempt to have a healthy baby. Information seemed to flow then from a higher spiritual reality, and events that were beyond what could be explained by nature happened. Again and again. Examining these connections, I realized I had touched on a greater truth; the reality of how I fit into the bigger picture of life. The quieter I became, the more I could see and hear. Was it my imagination? Or was I experiencing a heightened awareness as a result of being in tune with nature. Floating in this immense ocean at eye level, gave me a new appreciation for how massive the universe is, and how small and insignificant a human is by comparison. A small speck in the full spectrum of life on earth. I had traveled far and wide to find myself; to discover my core. My soul. 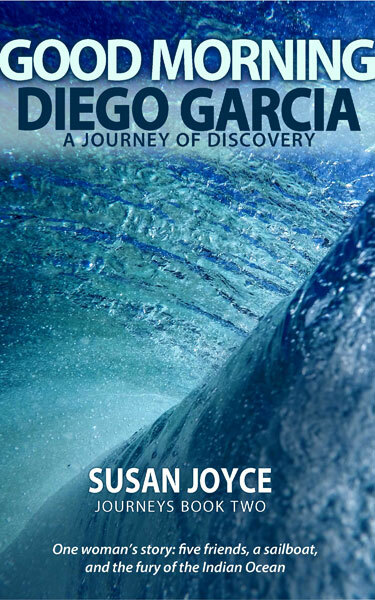 Her second memoir, "Good Morning Diego Garcia" is about her adventure from India and across the Indian Ocean in monsoon season in 1975. Susan will be awarding a $20 Amazon or B/N GC to a randomly drawn winner via rafflecopter during the tour, and a $20 Amazon or B/N GC to a randomly drawn host. Hope you all had a nice week. We had our first major snowstorm of the season. The kids were glad for an extra day off from school. We are due for more snow tonight, so they might end up with an extended weekend. Right now, I am in the middle of reading Touches of Time by LoRee Peery. Doesn't it sound wonderful? Doesn't this sound like the best book? I have to get it when it comes out in May. 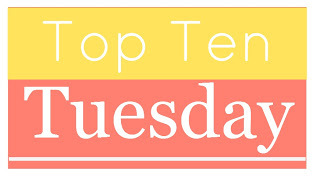 This is a great topic because I love, love, love historical fiction. All-time favorite historical setting: American Civil War. I enjoy exploring this difficult time in our nation's history. I've read tons of non-fiction about the conflict, but it is discovering new ways authors bring this era to life in fiction that truly captivates me. I can thank Michael Shaara for introducing me to this genre, but there are many other authors whose work I have enjoyed and sought out as a result. World War II: Another tense time in our history, Usually when I read fiction set during this time period it involves spies and espionage, which has always fascinated me. I really should have worked for the FBI. Copper Fire by Suzanne Woods Fisher was probably my first book set during WWII, but I've read many others now. Settling of the West: One of the things that has made this country great is we have a rich history of risk takers and big dreamers that saw all America could be. While it would have been nice if they could have peaceably settled the West without impacting Native Americans, it's still an exciting time to read about. Tudor period: I'm partial to historical American settings, but Tudor England can never be explored enough. 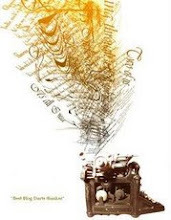 It helps that there are so many wonderful writers who use this time period for their fiction: C. W. Gortner, Philippa Gregory, and Margaret George to name a few. Reconstruction Era: Fiction set during the years the country struggled to reunite North with South offers a lot of wonderful background for great fiction. Even today we are unsure of how we feel about the symbols of that conflict, so imagine how much more difficult it was in the early years following the Civil War for people to accept each other again.Reconstructing Jackson by Holly Bush is a fine novel set in this time period. Colonial America: Who can help but be excited about coming to a new country. In North Carolina, we have seen The Lost Colony play more than once. It's so difficult to imagine now what it must have been like, but authors like Jeff Shaara open our minds to it. He also happens to write Civil War fiction like his father, Michael. French Revolution: If someone had asked me if I liked French Revolution historical fiction before I read Loss of Innocence by Anne Newton Walther or Mistress of the Revolution by Catherine Delors, I probably would have said no. These talented authors made me a fan. Biblical Times: In the past several years we've seen several novels depicting the lives of Biblical characters. Pearl in the Sand by Tessa Afshar fictionalizes the life of Rahab.Then there is Claudia, Wife of Pontius Pilate by Diana Wallis Taylor, The list goes on and on. Whether they be Old or New Testament historical figures, their fictionalized stories captivate readers, including me. Sherlock Holmes Era. Is there such a thing or did I just make it up? Probably the latter. Holmes and his partner Watson are fascinating characters living and working in the late 1800s and early 1900s. The setting is nearly as intriguing as the main characters. Post- World War II: John Knoerle, author of The American Spy Trilogy led me to a time period I hadn't much considered before. In the period of transition between when the OSS disbands and the CIA is formed, espionage is as important as ever. Knoerle's character, Hal Schroeder, has survived behind enemy lines, just to find himself drawn back in because the Cold War has begun. What historical settings do you love? Would you live to visit any of them?